Asking people to vote for the Congress candidate, the minister from Chhattisgarh stated, "You have to press the first button to vote. If you press the second button, you will get an "electric shock". The third button will also give you one." 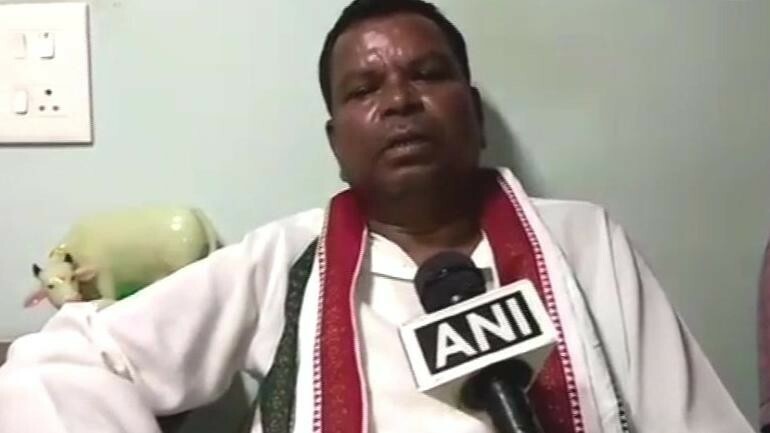 A Congress MLA from Chhattisgarh, Kawasi Lakhma, stoked a controversy when he allegedly threatened voters saying those who press any other button other than the first button on the Electronic Voting Machine (EVM) will get an electric shock. The minister for excise, commerce and industries in Chhattisgarh made these comments at an election rally in the state's Kanker district on Wednesday, April 17. Asking people to vote for the Congress candidate, the minister stated, "You have to press the first button to vote. If you press the second button, you will get an "electric shock". The third button will also give you one." The Election Commission has reportedly issued him a notice seeking an explanation for his statement. Kawasi Lakhma's bizarre comment came 24 hours before the second phase of voting for the Lok Saha election 2019. The state of Chhattisgarh will go to polls on Thursday, April 18, as part of the second phase of the national elections. Results of the Lok Sabha election 2019 will be declared on May 23. Bharatiya Janata Party (BJP) legislator from Fatehpura, Ramesh Katara, stoked a controversy when he allegedly threatened voters saying those who fail to vote for the saffron party will be identified and won't be given jobs. A BJP legislator from Fatehpura, Ramesh Katara, allegedly said that those who fail to vote for the saffron party will be identified and won't be given jobs. The Fatehpura MLA also claimed that Prime Minister Narendra Modi has installed cameras inside the polling booths and will know who has voted for who. Senior BJP leader Maneka Gandhi had asked the Mulsim community to vote for her in the upcoming Lok Sabha elections or else they would not receive any help when she is the lawmaker. Addressing a gathering in Uttar Pradesh's Unnao, BJP leader Sakshi Maharaj threatened voters and warned them saying that they will be cursed if they don't cast their votes in his favour. Uttar Pradesh chief minister Yogi Adityanath had spoken about a "green virus" in a speech last week in reference to Muslim voters who he said were being wooed by opposition parties. The Election Commission has banned the UP chief minister from campaigning for three days after anti-Muslim comments.